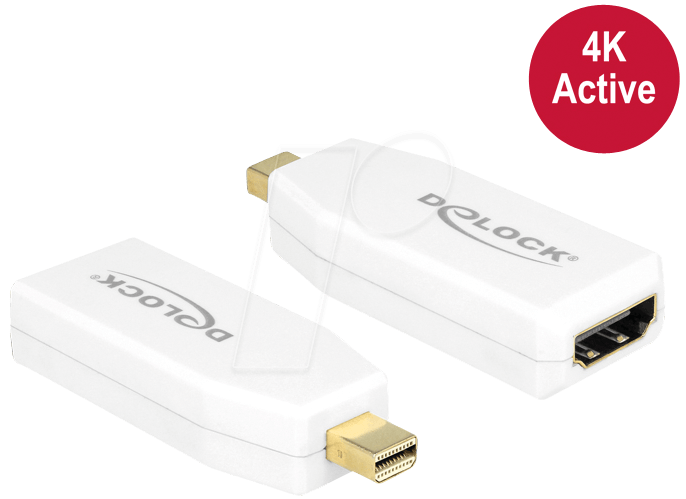 This Delock adapter can be used, for example, to connect an HDMI monitor to your system via a free mini Displayport interface. The adapter supports resolutions up to Ultra HD (4K) and is backwards compatible with Full-HD 1080p. The adapter provides active conversion and so is also suitable for graphics cards that cannot output DP++ signals.